We have a MONSTER TRUCK - MUD TRUCK. This is ready for the Mud. 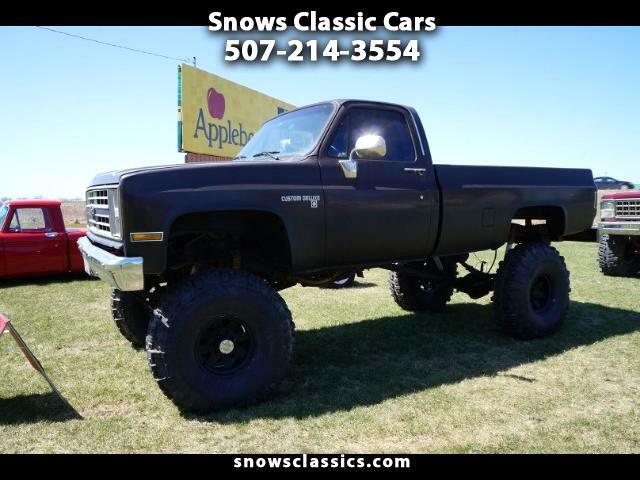 It has a 427 TALL DECK BIG BLOCK CHEVY , 400 auto trans , B&M rachet shifter , Dana 60 axels front & rear , Fuel cell 42'' TSL BOGGER TIRES- LIKE NEW , 12'' Suspension Lift , 3'' Body Lift . Runs very strong . For more information. Message: Thought you might be interested in this 1987 Chevrolet Trucks C/K 20.